Max Dobens is gearing up to lead his 6th annual Douglas Elliman Ride for Love on October 27, 2018. And for the first time ever, the bike ride to raise money for God’s Love We Deliver is open to the public. “The number of needy clients of God’s Love We Deliver gets larger each year, so they really need your support now,” said Dobens in his annual appeal for volunteers and supporters. A senior regional director with Elliman, Dobens founded the Ride for Love in 20011 when he cycled 100 miles from NYC to the firm’s annual sales meeting in Atlantic City. That year he raised $3,508 riding alone. As more Elliman agents got on board, fundraising topped $650,000 last year from over 150 riders. To encourage riders with all levels of experience, this year’s ride will feature two courses in New York City – 100 miles and 35 miles. There’s no entrance fee but riders to need to raise money for God’s Love, New York’s leading leading provider of life-sustaining meals and nutrition counseling for people living with severe illnesses. The courses are marked with staffed rest stops offering snacks and drinks, a bike mechanic and support vehicles and a hearty rider appreciation dinner after the ride. With New York Fashion Week in full swing, Corcoran agents Alan Sands, Sam Pablo Montes and Eddie Tawil are showing off a model home for the design set. Penthouse 2 at 136 West 22nd Street just hit the market for $4.895M. The former owner was Don Witkowski, a noted menswear executive who worked with Michael Kors, Calvin Klein, Barney’s, Giorgio Armani, John Varvatos, DKNY and Polo Jeans, who passed away in May. The PH units have quite the fashion world cachet – the original owner of PH2 was Keith Monda, the former President and COO of Coach. Many fashion luminaries were hosted in this apartment, including Michael Kors, John Varvatos, Peter Som…and many others. PH1 was designed by John Lyle, with many custom furnishings, (some of which would be available with the apartment,) and other apartment features include an amazing music system two landscaped terraces. 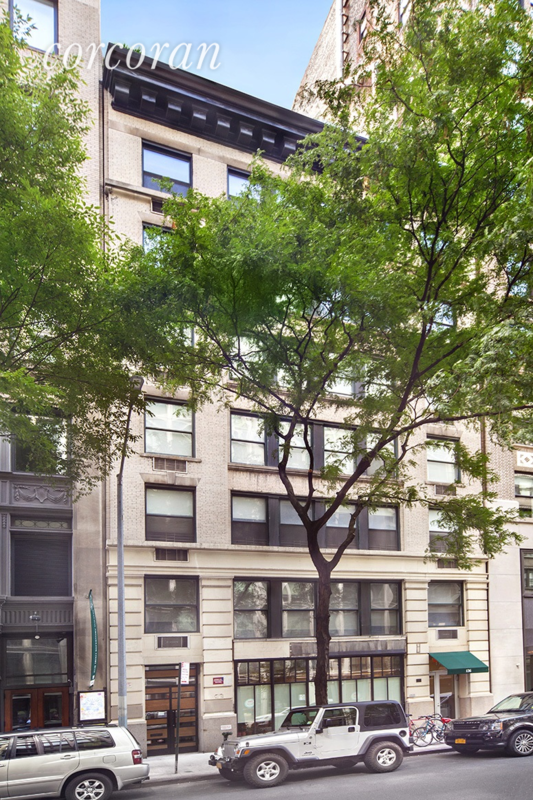 The Corcoran team has listed the apartment at $4.895 million.